But Trudeau has been adamant his government won't increase taxes on online services. Netflix loads on a tablet. OTTAWA — A Liberal-dominated House of Commons committee is calling on the Trudeau government to make internet giants like Netflix collect and remit sales taxes as part of a series of recommendations to help Canada's small businesses compete online. The international trade committee's report on e-commerce issues recommended the government apply sales taxes "on tangible and intangible products" sold through online platforms, and tax the profits from those sales. It also calls on the federal government to cut red tape and create policies and programs that are agile enough to help domestic companies get a bigger cut of the trillions of dollars associated with the global online marketplace. Small and medium-sized businesses could lose customers to larger firms based in Canada and abroad, it warned, noting that the future success of such companies "partially depends on federal public policy." "E-commerce creates the potential for even the smallest local firm to sell globally and, in so doing, creates an environment in which the benefits of trade can be shared by all Canadian firms, and not accrue to just large multinational firms," the report says. The message is sure to resonate with corners of the Liberal caucus, particularly those from Quebec, who have been pressed by constituents about their party's opposition to forcing companies like Netflix to collect and remit federal sales tax. Foreign-based streaming services without a physical presence in Canada don't have to collect or remit sales taxes, leaving it up to consumers to pay the sales tax to tax collectors — something that, in reality, rarely happens. However, Conservatives on the committee say they want Trudeau to honour his pledge not to introduce a Netflix tax, writing in a dissenting report that such a tax would only create additional costs for consumers and hurt Canada's small businesses. "We support the bulk of the recommendations in the main report, but must disagree on the tax recommendations," Conservative MP John Brossard said in the House. 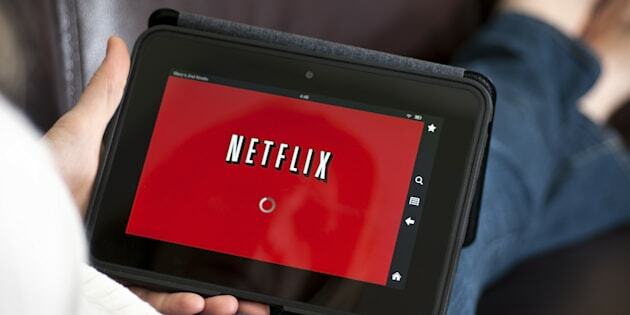 "The main report effectively recommends that Canadians be forced to pay a Netflix tax, to be taxed on every song they download on iTunes and every movie they watch on YouTube. We recommend otherwise." Prime Minister Justin Trudeau has been adamant his government wouldn't increase taxes on online subscriptions, but his finance minister has suggested the Liberals want to ensure online firms pay their fair share of taxes. Canada and other G7 countries have set a 2020 deadline to craft an international tax regime so companies based in one country can pay taxes for goods and services they sell in another. New Democrats on the committee say the Liberals need to apply corporate income taxes on e-commerce profits earned in Canada by domestic and foreign sellers, provided the income exceeds a specific threshold. The Quebec government has vowed to enact a similar measure beginning next year and put a provincial sales tax on Netflix and any purchases from Amazon. NDP heritage critic Pierre Nantel said the federal government was a laggard in taxing internet giants and asked the Liberals to act on the growing chorus of voices wanting online services to pay their fair share of taxes. The committee is also calling on the Liberal government to better protect the personal data of Canadians who purchase and sell products online through enhanced cybersecurity, modernize federal e-commerce legislation, and come up with ways to fuel telecom competition to prod Canadians' use of mobile devices to make online purchases and sales.